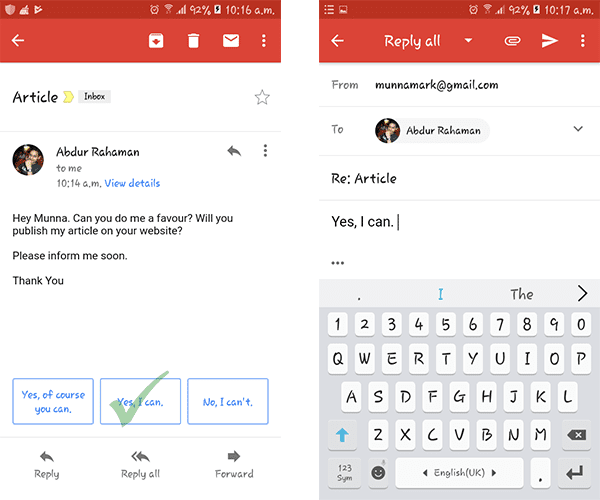 Have you Tried Smart Reply in Gmail? Well that's another cool feature from Google. And I think it's almost magical. It's a great sign of artificial intelligence! Starting from May 2017, hopefully this option will get huge popularity and will do much better in the coming days . . .
What is Smart Reply Actually? Think about a situation. You're going somewhere and you're in a hurry. You've a bag in one hand and that time you got a message from one of your friends. Maybe the message is not very crucial but you've to answer something. In these situations Smart Reply is really helpful to save your time and effort. 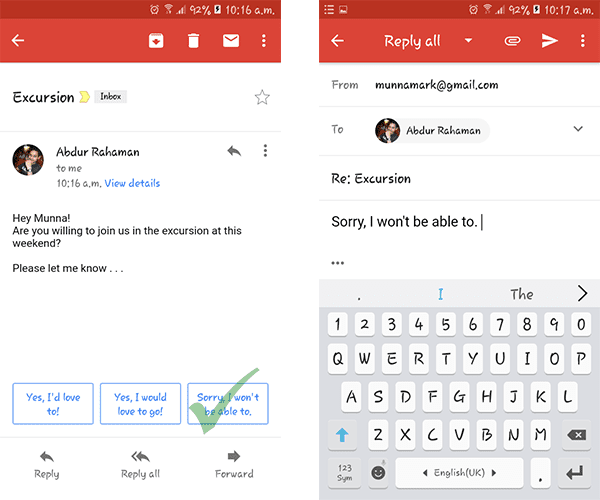 You can simply open the message and tap on any of the suggested replies. When you open a message you will see three automatic reply suggestions. If you tap on any of them, then the tapped text will be prepared as your reply. If you are in a hurry or if you don't need to add anything else you can hit the send button. Look at this message. This message could be replied by simple Yes/No answer. But smart reply is offering much better answer to this message. Look at the third one. Some messages are really tough to answer smartly. But still Smart Reply tries to ease your task. If someone ask for your new contact number then how do Google know it? Though Google can find existing contact numbers from your profile but they left the answer on you. Tab on the Menu button (☰) from upper left corner. Scroll down and choose Settings. Now choose your email address. From here you can turn this feature on or off. Not every message will include smart replies. Primarily it's only available for English language. It's available for Gmail App, Inbox and Allo messaging app. 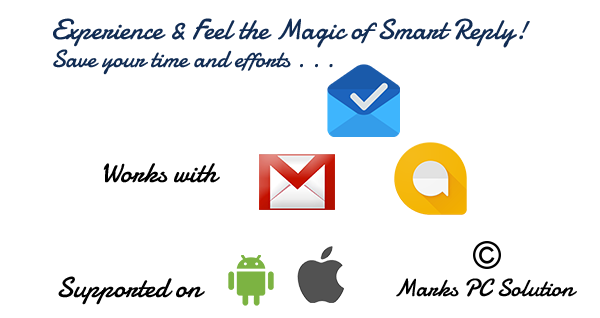 Smart reply works with Android and iOS operating systems. Smart replies may not be accurate every time. 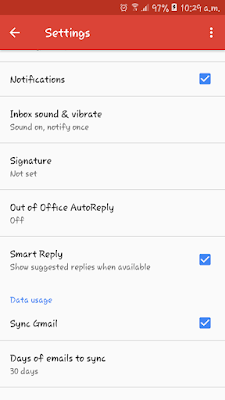 See how to use smart reply . . .